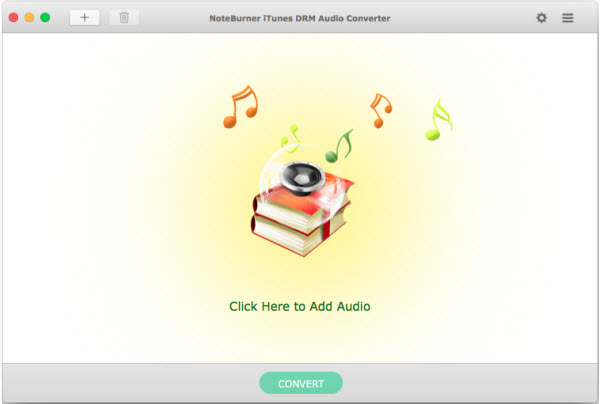 iTunes DRM Audio Converter for Mac is specially designed for Mac users to convert any audio which can be played in iTunes, such as Apple Music files, audiobooks, iTunes music or other downloaded music, to MP3, AAC or WAV format. Convert iTunes music to MP3, AAC and WAV. Remove DRM from Apple Music files to help you listen them on your iPhone SE, iPhone 6S/6S Plus, iPad Pro, iPod, Zune, PSP, MP3 player offline. Legally remove DRM from iTunes M4P, M4A, M4B & Audible AA audiobooks and convert the audiobooks to DRM-free MP3, AAC or WAV. 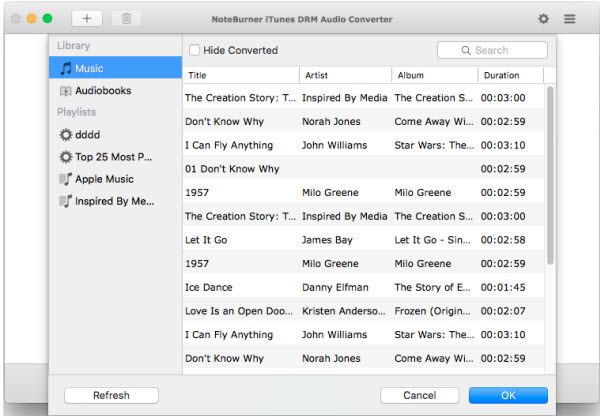 Easily remove DRM protections from iTunes M4P music and convert them to the plain formats you like. Convert all audio files at unbeatable fast speed and support batch conversion. Support high quality output audio. The quality of the output audio can be as excellent as CD Quality. 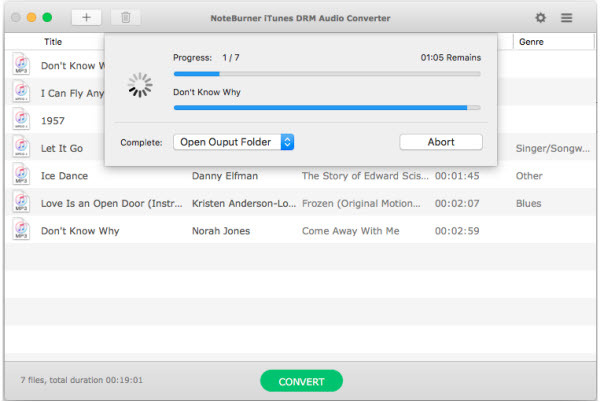 iTunes DRM Audio Converter will mute iTunes while converting to play the DRM-ed music tracks silently in the background and record audio files at 20X faster speed. The ID Tags will be preserved in output MP3 or AAC files while converting. Information including Artwork, Metadata (artist,album, year, track number, genre) can be kept after conversion. It is very easy to use, just with the intuitive interface, you can convert iTunes audio quickly with a few clicks. No extra hardware or virtual drive needed. The program will encode the iTunes audio to MP3, AAC or WAV while recording. Great software!. Though some minor problems pop out, the supporting team help me handle them efficiently. NoteBurner provides lifelong updates and technical support. Highly appreciated! I am very satisfied with its speed and the quality of converted audio. It does exactly what it's supposed to do without a hitch. It is awesome software that I use on a regular basis and I do not regret my purchase. I do recommend it to my friends and I am thankful for the bug fixes and for the customer support. Thank you NoteBurner and keep up the good work! !